NAVAL, Biliran – The road widening project along Biliran-Naval Section within Biliran Circumferential Road is on-going. Department of Public Works and Highways (DPWH) - Biliran District Engineering Office (DEO) reports 72.83% accomplishment of the project as of January 31,2019. David P. Adongay Jr., District Engineer said that the project involves the construction of additional lanes on both sides of the existing paved road with a width of 3.35-meter, a thickness of 0.28-meter and a length of 4.05-kilometer. “It includes the construction of drainage and installation of road safety features such as road signages and reflectorized thermoplastic pavement markings,” said Adongay. Adongay added that the road widening project amounting to P139.566M will be completed on June 27, 2019 under contract with BC Cuerpo Construction Corporation. Meanwhile, Adongay said that the district office will implement another road widening project this 2019 amounting to P80M. “This project will be implemented as a continuation of the 2018 widening project along Biliran-Naval Section,” said Adongay. Major scope of work includes the construction and concreting of additional lanes from 2 lanes to four lanes with a length of 2.4-kilometer with a width of 3.35 meters, a thickness of 0.28 m. It also includes the construction of drainage and road safety features. The road widening projects were prioritized because of its potential for development with the vision to accommodate huge number of road users. The said network development project is designed to provide a wider and safer roads for the increasing vehicular users. 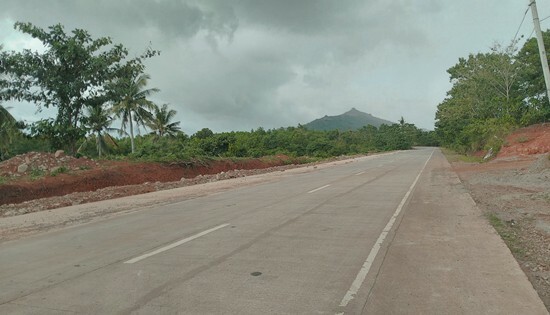 By early part of 2019, DPWH-Biliran DEO has already widened a total of 12.973 kilometers of existing road. It is the vision of the district to widen the entire existing concrete roads within the Road Network of Biliran Province in accordance with the DPWH National Standards by phases.